November 8, 2007  All Songs Considered host Bob Boilen chats with Ian Parton, frontman for the frenetic, hip-hop-cheerleader-rock group The Go! Team. Parton shares some of his favorite songs. 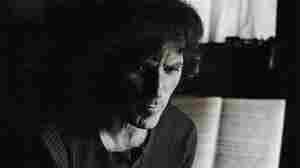 February 11, 2017  David Axelrod was a genre-fusing genius, a visionary artist in a boxer's body, a producer and composer who propelled popular music into an unknown future.